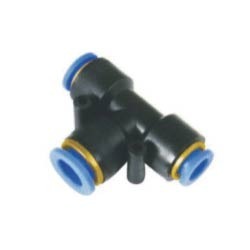 Providing you the best range of push equal elbow, p.u tubing, push equal union, push speed control elbow, push female connector and push bulkhead union with effective & timely delivery. 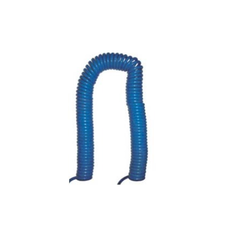 We bring forth our vast industrial experience and expertise in this business instrumental in presenting Push Equal Elbow. These Push Equal Elbows are made by using high quality material. Furthermore, our Push Equal Elbow is designed by keeping the latest trends of fashion in mind. Pu tubings are available in 50 meter and 100 meter rolls. Smaller lengths as small as 10 meters can be cut as per customer requirements. We are pioneers in the manufacturing, supplying, exporting and trading a high class array of Push Speed Control Elbow. 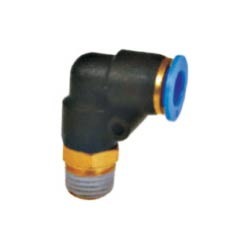 Our offered speed control elbows are made in accordance with globally followed quality standards & norms by using high class raw material due to which these are widely demanded. Moreover, we design the offered speed control elbows as per the evolving trends of the industry. 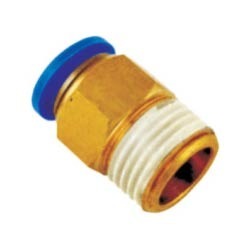 To fit the requirements of steel, cement industries and oil & chemical refinery, we are engaged in offering Push Female Connector. 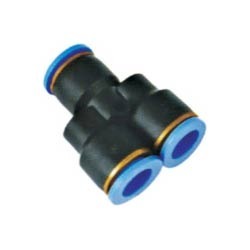 The offered connectors are high in demand among our patrons as these are manufactured by making use of supreme quality grade raw material, sourced from vendors of high prestige. 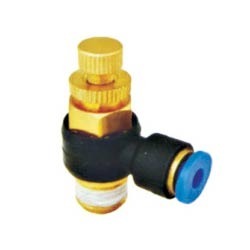 Moreover, we provide these connectors as per the specifications detailed by patrons so as to attain their higher level of satisfaction. Backed by the sound experience of the industry, we have been able to offer precision-engineered Push Bulkhead Union. We carry out the manufacturing process of offered bulkhead union at at our well-equipped production unit, where we have employed latest technology and installed modern machinery to ensure their precise design. Post-manufacturing, we stringently test offered bulkhead union to ensure their flawlessness and ability to meet the requirements of our patrons. 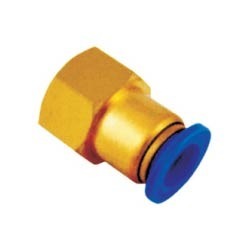 Avail from us optimum quality Push Male Connector, which is fit to be used for various applications in industries like food, dairy, petro chemical and pulp. 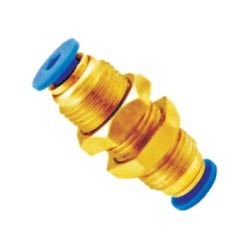 To ensure the same, we make these connectors by making use of quality assured raw material, sourced from reputed vendors. 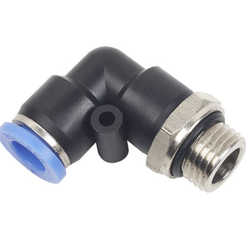 Moreover, while carrying out the manufacturing process of these connectors, we keep in mind the international quality norms. 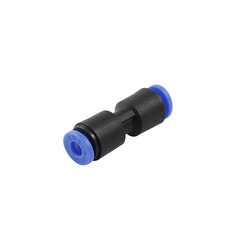 Owing to which, these are durable, have optimum strength and dimensionally accurate. Looking for Pneumatic Push Fittings ?